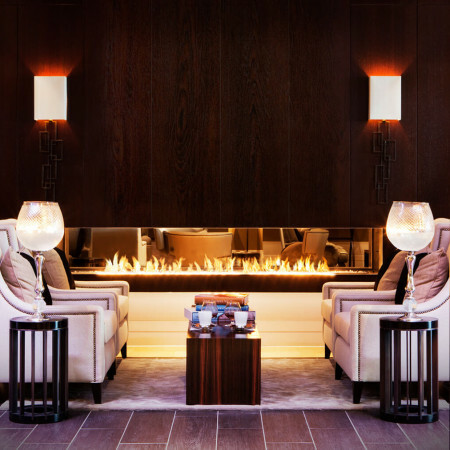 This contemporary three sided fireplace can actually be enjoyed from three sides of a room. 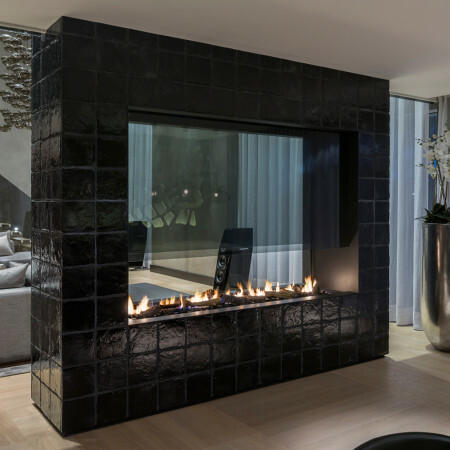 The modern dancing flames twinkles away creating a wonderful ambiance and with its sleek lines, a three sided linefire is an ideal way to break up a space and create a seamless division whilst simultaneously creating a wonderful contemporary feature. The integrated gas burner is available in varying lengths of up to an incredible 2.4m – the longest on the market. 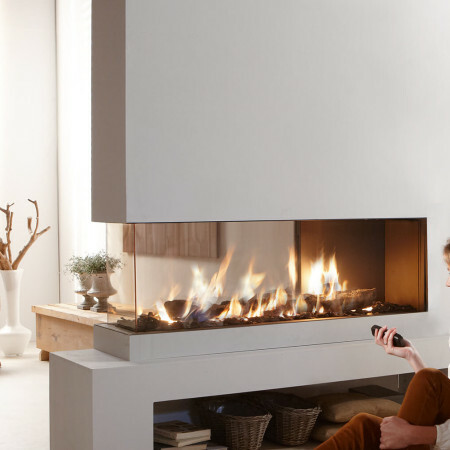 This model as shown is a three sided fireplace, open gas fire but there are also options for completely glass enclosed gas fires if heat output is a priority.